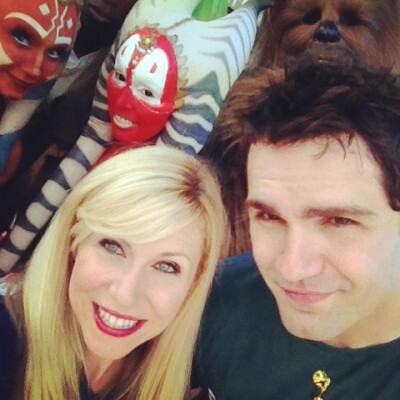 Being the voice of Ahsoka Tano on Star Wars: The Clone Wars has truly changed my life. 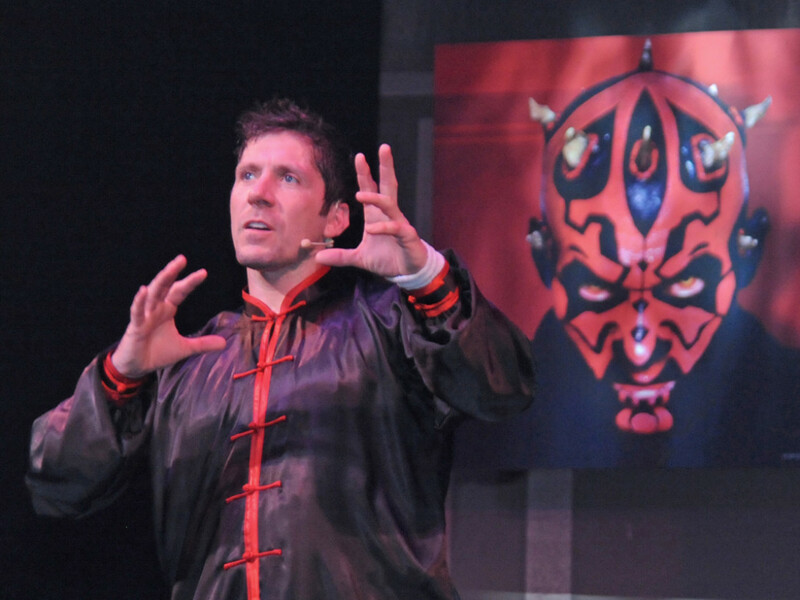 It’s given me the opportunity to do so many amazing things, and one of the opportunities I’m most thankful for has been the chance to co-host Disney’s Star Wars Weekends, which I’ve done for the past five years. 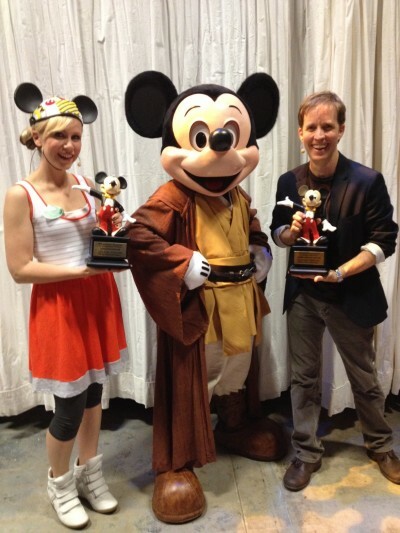 I had a blast this summer with my fellow cast mate, James Arnold Taylor, as we spent a month at Disney World meeting fans and celebrating Star Wars! I took SO many photos and thought I would share some of my favorites. 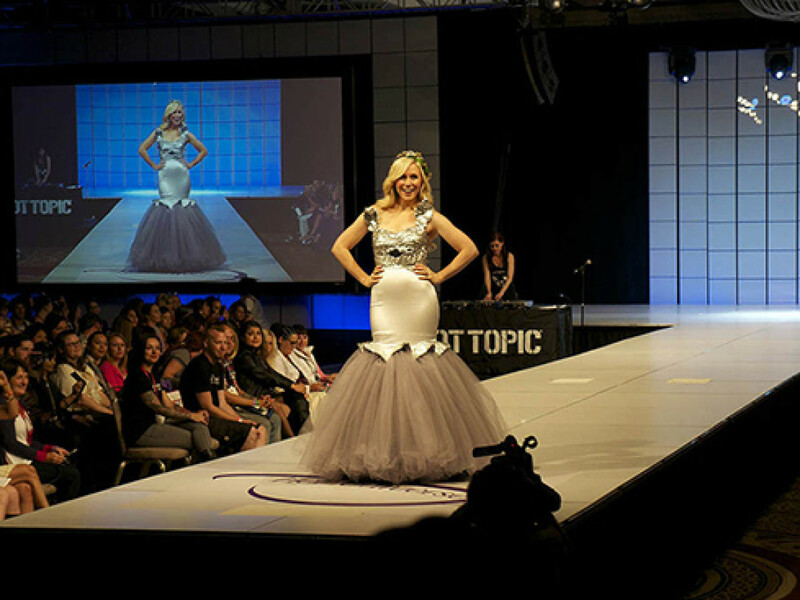 Check them out after the jump! This was my view from the stage during the motorcade. 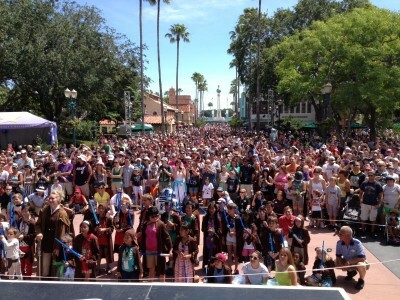 It’s amazing to look out and see a sea of Star Wars fans! Here’s another shot that I got from the stage during the motorcade! 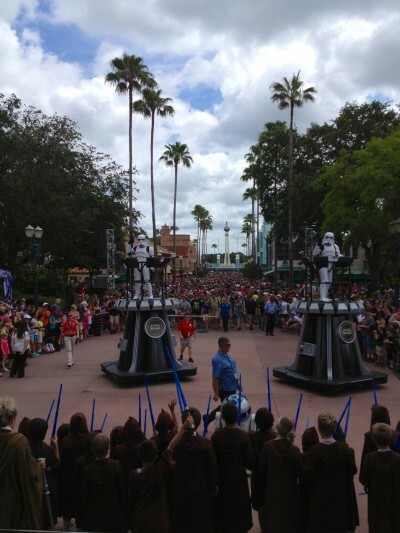 I love this shot of the Stormtroopers leading the crowd. We had an amazing guest the first weekend: Dee Bradley Baker! I love these two guys! 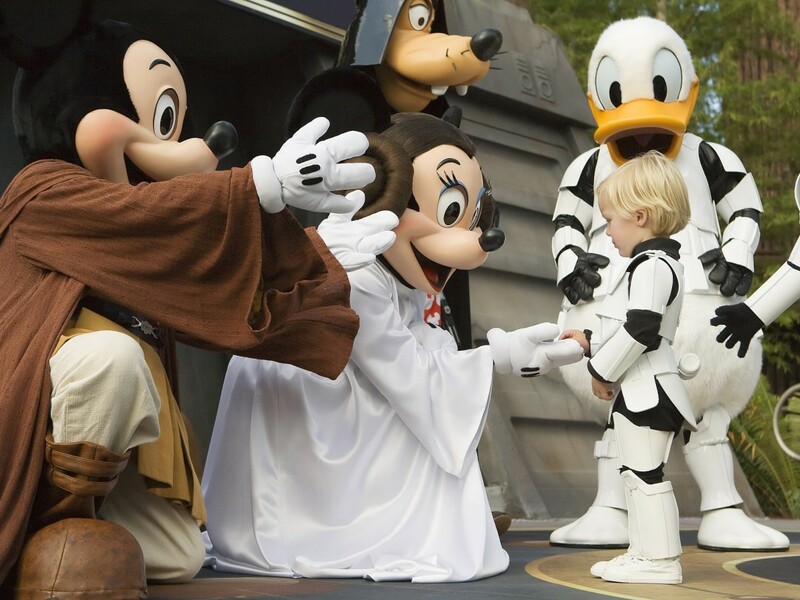 It’s a tradition for all first time guests that they receive their very own Mickey ears from Jedi Mickey! I was thrilled to work with Jim Cummings the second weekend! 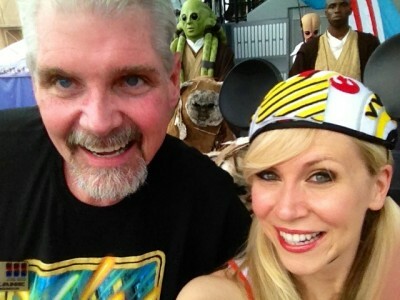 You never know who you’re going to run into during Star Wars Weekends! 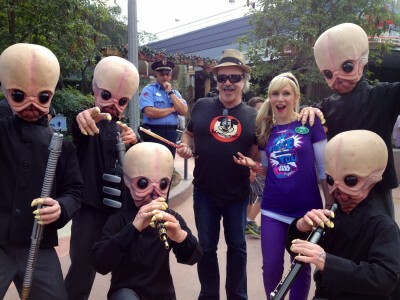 Jim and I were walking to our autograph sessions when we ran into the Cantina Band! 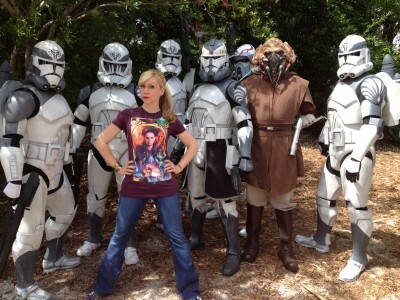 Looks like Ahsoka is on Team Hondo! 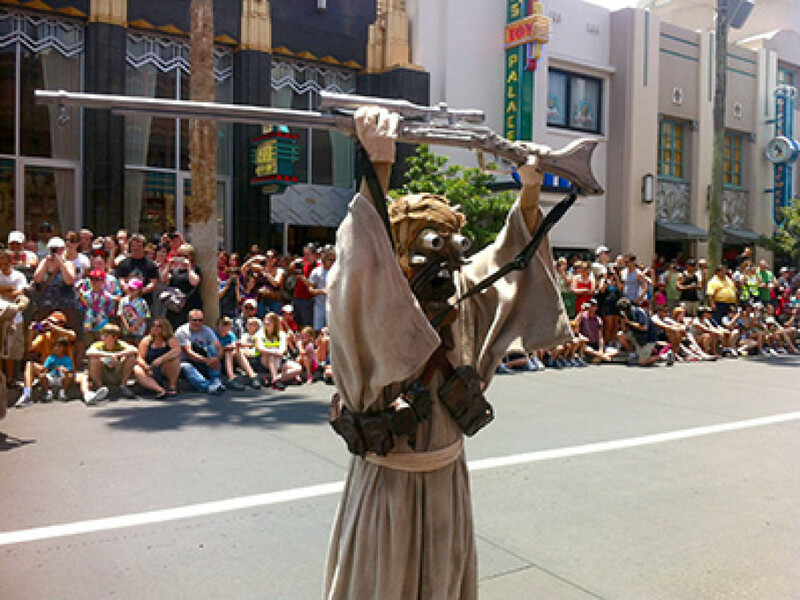 Funny photo bomb by Shaak Ti. 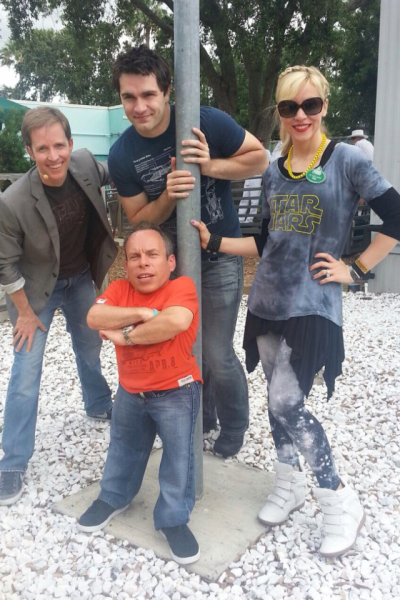 Week three brought us Warwick Davis and Sam Witwer! It’s an honor to meet all of the movie actors! Awesome photo bomb! 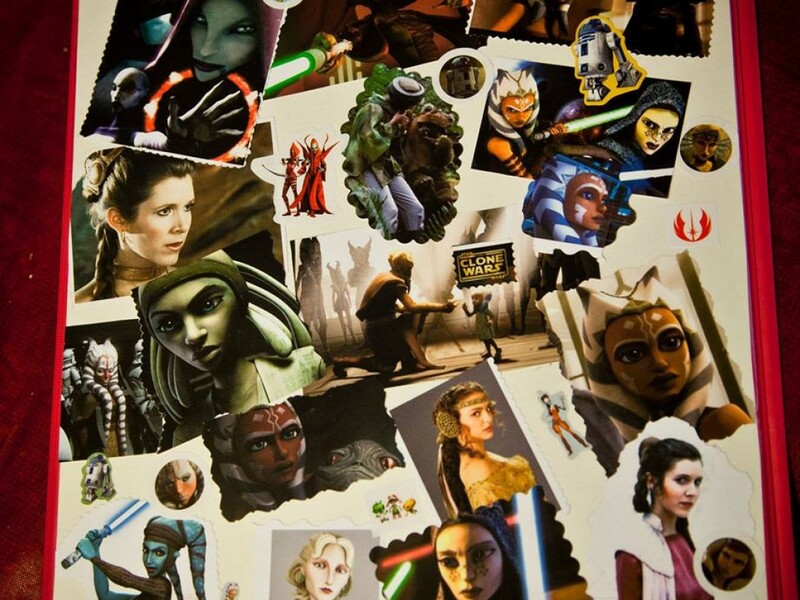 Ahsoka Tano, Shaak Ti, Mace Windu, and Chewbacca! 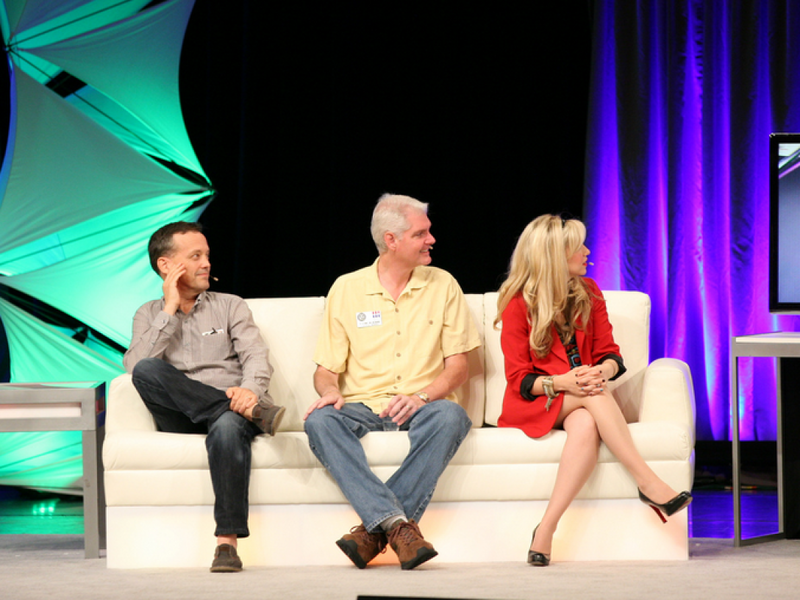 Tom Kane, the voice of Yoda, came the last weekend. I love meeting fans of all ages. 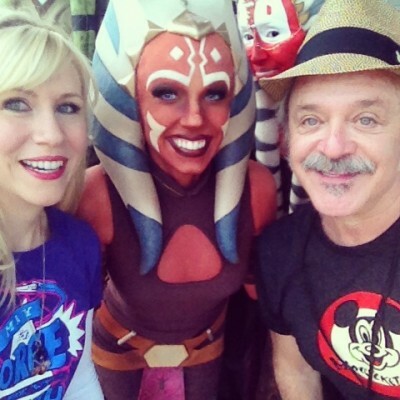 The Force is strong with this Ahsoka fan! 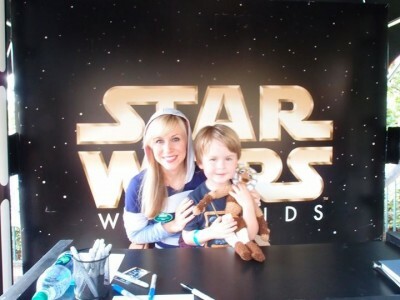 This little Skyguy loves Ahsoka and was excited to show me his custom-made Ahsoka doll! 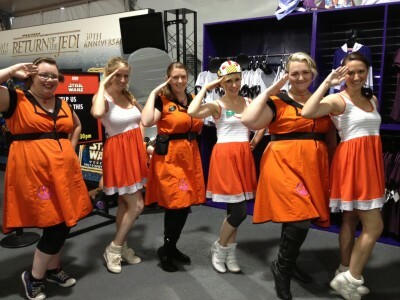 The ladies love Rogue Squadron! It’s the Wolf Pack! It was so nice to see everyone from the 501st Legion and Rebel Legion. Thank you to everyone from these organizations for your time and for putting smiles on so many faces! I am so grateful for all the gifts I received from fans. 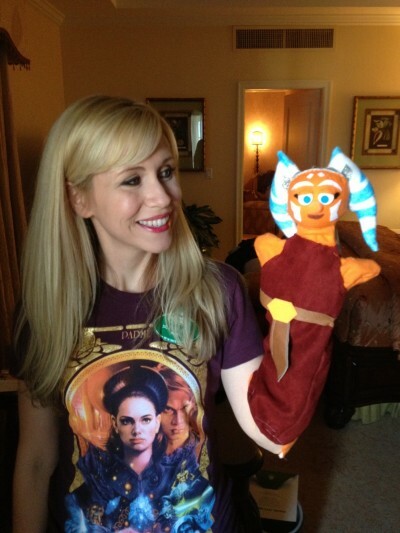 I loved this homemade Ahsoka puppet! James and I were honored to receive a “Mousecar” award. 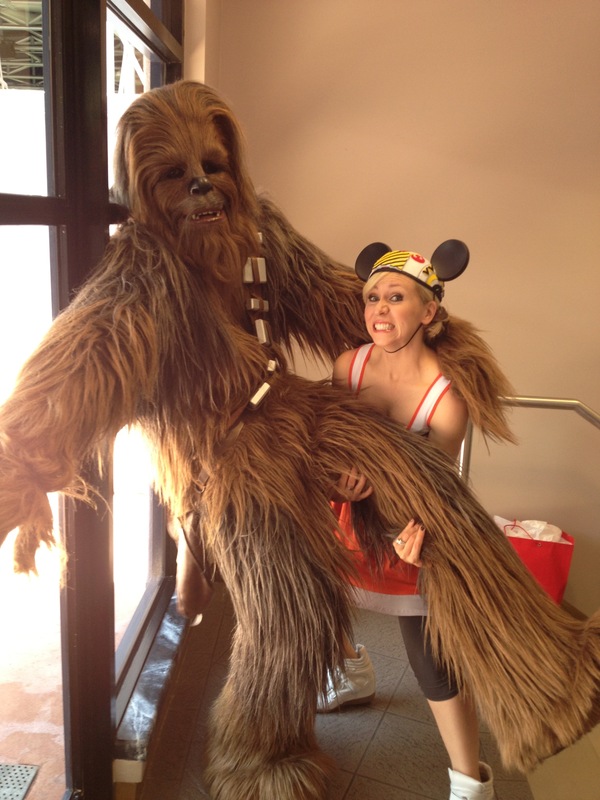 It’s Disney’s version of an Oscar and they are very rare! As a major Disney fan, I was SHOCKED to receive one of these. 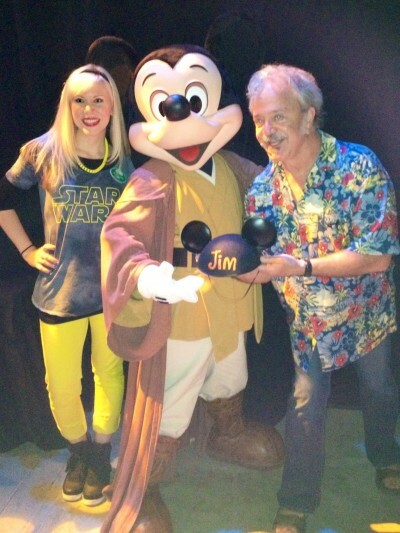 Thank you to everyone at Disney for this great honor! 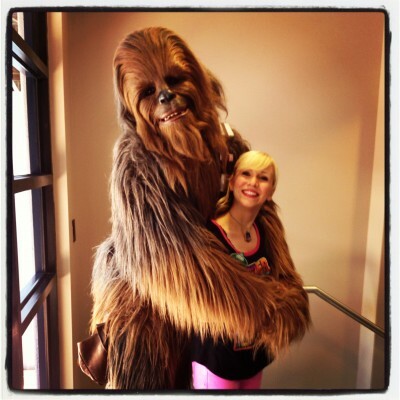 I’ll close this post with some of my favorite photos of me and my best friend Chewbacca! I love our awkward prom photo! 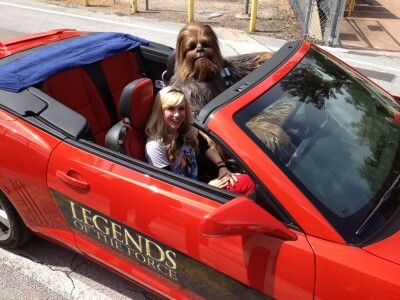 Out for a Sunday drive with my favorite Wookiee. 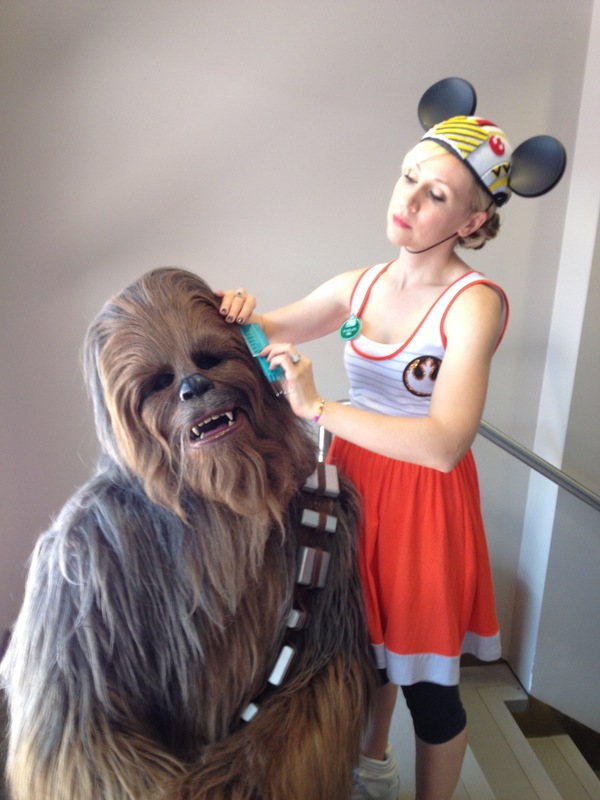 Chewie was a good listener…and he gives great advice! 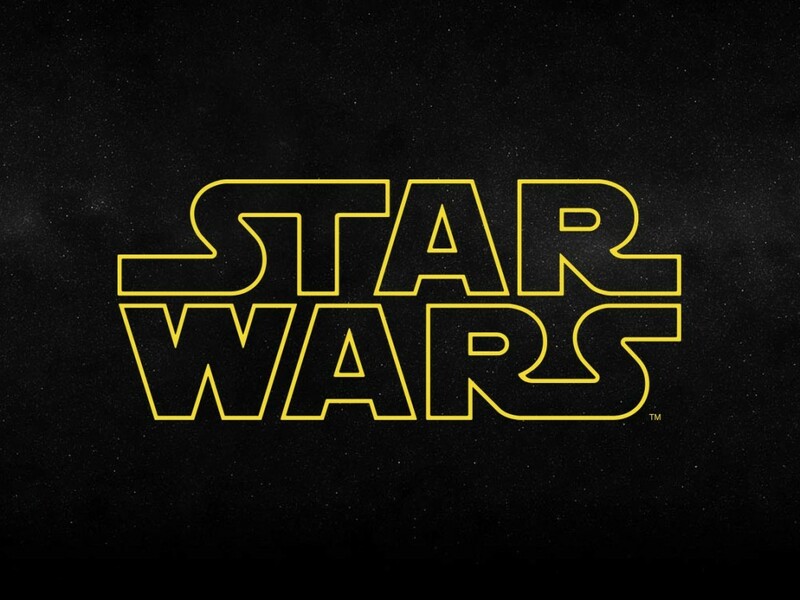 Thank you to everyone at Disney and Lucasfilm for giving me the opportunity to host Star Wars Weekends again and thank you to all of the fans for an amazing month!